Each month we profile some of the idea’s makers within the Ideas Foundation community. have a career in the creative industry. where anyone with ideas is welcome. 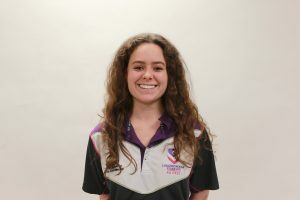 Allow us to introduce you to Rachel Bateman; Ideas Foundation alumni and student at Loughborough University. How did you first get involved with Ideas Foundation? I attended the Creative Media Camp in partnership with SONY in 2014. Tell us about your journey with Ideas Foundation. After being part of the winning team at the CMC with SONY, this was the first moment I realised my interest in advertising. Since then, I have visited many different advertising agencies through day events with the Ideas Foundation, and acquired work experience at agencies such as Karmarama, BBH, and Adam&EveDDB. I’ve even had the opportunity to attend Afternoon Tea at their event at the House of Lords, which was exciting! How has Ideas Foundation benefitted you? Without Ideas Foundation I wouldn’t have all the experience in advertising that I do now. It has given me a real insight into the advertising industry, where I have experienced the working environment and learnt about the different job roles. What is the most valuable thing about Ideas Foundation for you ? Ideas Foundation holds lots of events in different agencies, which has allowed me to network with different people and ask for work experience (which not a lot of people have access to!). As the advertising industry is very competitive, Ideas Foundation has helped me to gain confidence in communicating with people in the industry and realise that people do actually want to help you get into the industry! It has also made me believe in myself, that I can achieve the job I want. They have helped and supported me along the way. How did Ideas Foundation help to inspire you to do what you are doing? I don’t think I would have thought of an advertising career if I didn’t attend the Creative Media Camp back in 2014! The constant opportunities that Ideas Foundation have given inspire me to keep trying and trying to get into the industry.